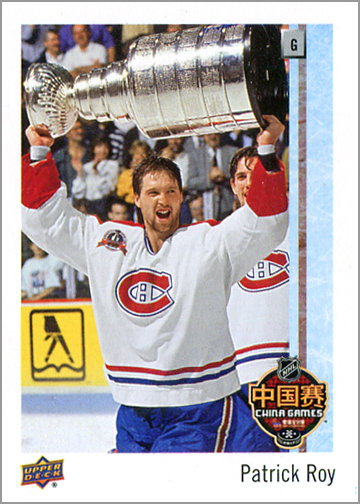 Longtime collectors will remember when Upper Deck used to make hockey cards written in French for fans in Quebec in the early 1990s. 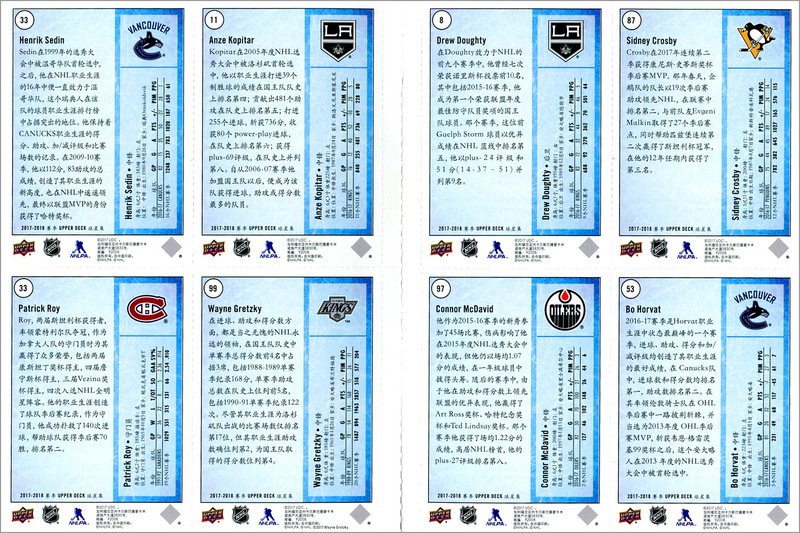 Taking that idea to a whole new level, in 2017 Upper Deck issued hockey cards written in Chinese, and gave them to attendees of the NHL’s “China Games” — a two-game preseason series between the L.A. Kings and the Vancouver Canucks. 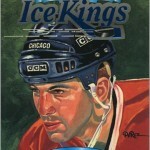 The Kings won the first match 5-2 on September 21 in Shanghai, and again in the shootout 4-3 on September 23 in Beijing. 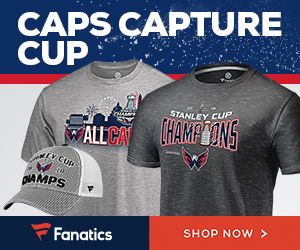 The series marked the first time that NHL games were played in China, and for many in attendance, it was probably the first time they saw a live hockey game. 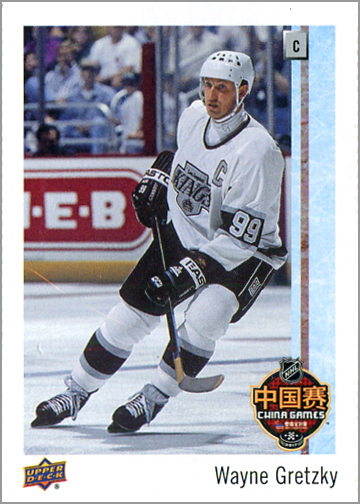 Likewise, it was probably the first time many of the Chinese in attendance saw a hockey card too. 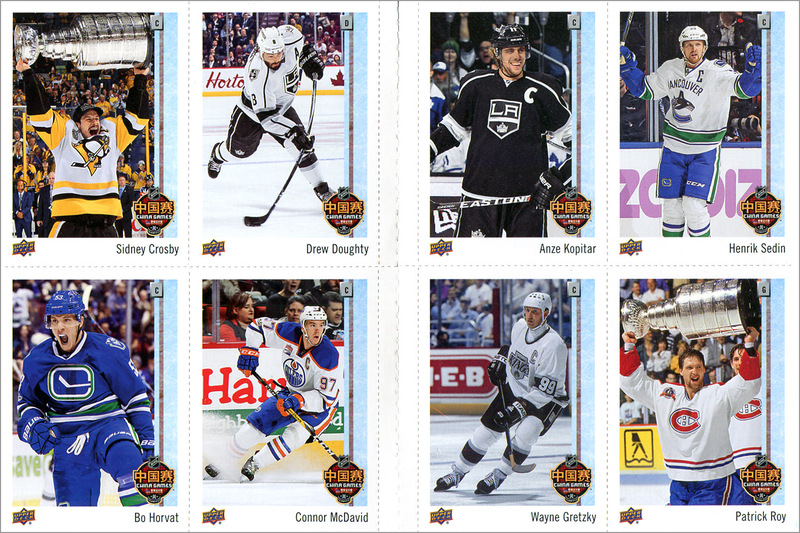 Upper Deck gave away an eight-card panel of hockey trading cards. 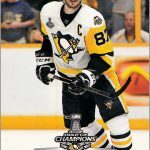 China may not be big on hockey, or hockey cards for the matter, but fans in attendance got some pretty sweet cards. The eight cards measure the standard 2.5″ by 3.5″ size and are perforated so that they could be separated. 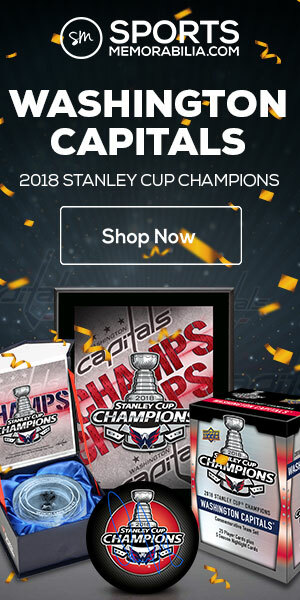 But why would anyone want to do that? That’s a pretty awesome lineup right there. 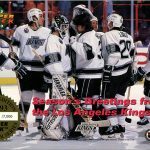 Two great Kings, two great Canucks, the NHL’s reining superstar, the NHL’s new young powerhouse, the greatest player of all time and the greatest goalie of all time. 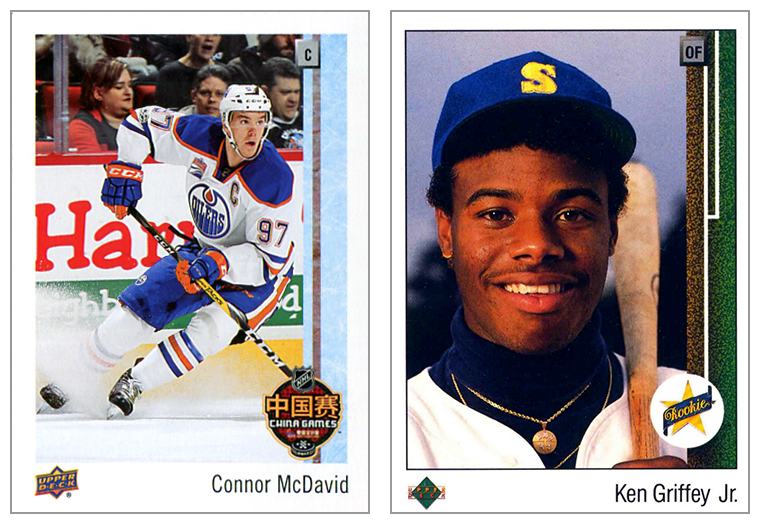 Not a bad group of players to get Chinese fans excited about hockey — or hockey card collecting. 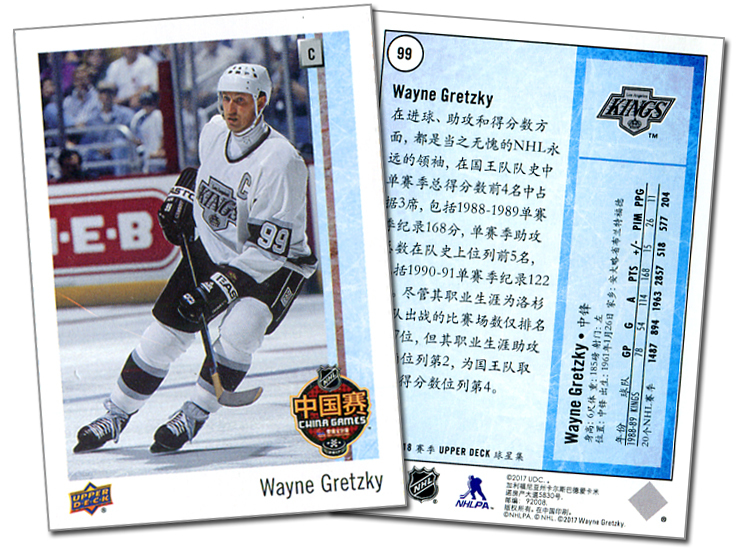 The card fronts resemble Upper Deck’s inaugural 1989 baseball card set, but with the China Games logo in lieu of a team logo, and the baseball motif along the right edge replaced with hockey-centric design elements of ice and a red line. Card backs are written entirely in Chinese, save for the statistics, which still use the familiar abbreviations. One year of stats, along with the career totals, are listed on the back. 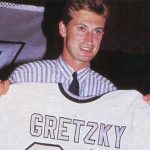 Interestingly, Wayne Gretzky’s card lists his 1988-89 stats on the back, while the picture on the front is from a later season. 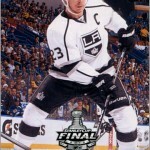 Likewise, Patrick Roy’s stats are from 1991-92, but the photo is from his Stanley Cup Championship win in 1993. Card of the Week: Soccer, Eh?